Last year, Huawei became the third largest buyer of chips in the world, with four Chinese companies in the top ten. 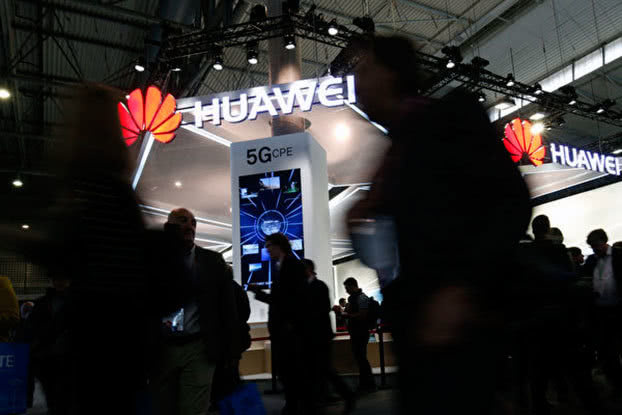 Tencent Technologies News, according to foreign science and technology media reports, the latest data released by Gartner, a technology market research company, shows that Huawei, a Chinese telecom equipment and smartphone manufacturer, increased its semiconductor purchasing spending by 45% last year, ranking third among global chip buyers. In 2018, Huawei spent more than $21 billion on semiconductors, ahead of Dell in global chip purchasers, Gardner said. Data show that Dell, the PC maker, saw a 27% jump in chip purchases last year. Last year, other Chinese equipment manufacturers joined Huawei as active buyers of semiconductors. 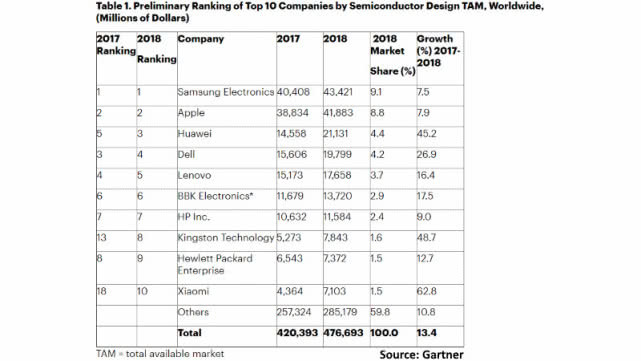 Last year, four Chinese companies were among the top 10 global chip buyers, including Huawei, Lenovo, Millet and Bugao Electronics (including Vivo and OPPO mobile phone manufacturers), Goldner said. Samsung and Apple were still the two biggest buyers of chips last year, accounting for 17.9% of the market, according to Gartner. The two smartphone giants have been the two biggest buyers of semiconductors since 2012, with 19.5% of their purchases in 2017. Overall, thanks to the continued integration of the PC and smartphone markets, the top 10 chip buyers accounted for 40.2% of the total market last year, up from 39.4% in 2017. Goldner adds that this trend is expected to continue.